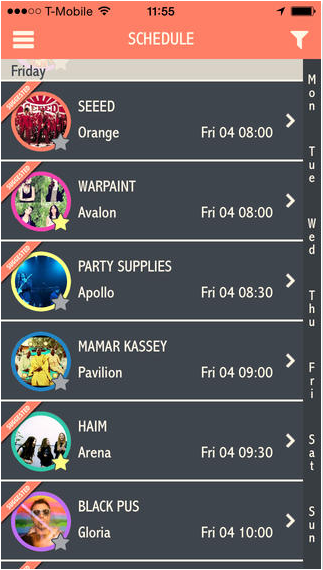 The app lets you know, what the festival has to offer right here, right now. 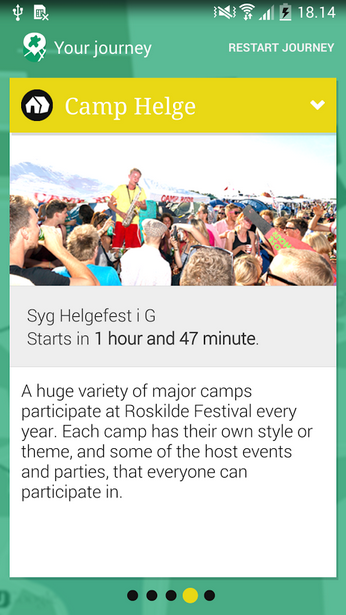 The app has been the Official Roskilde Labs app contest winner in 2013 and 2014. 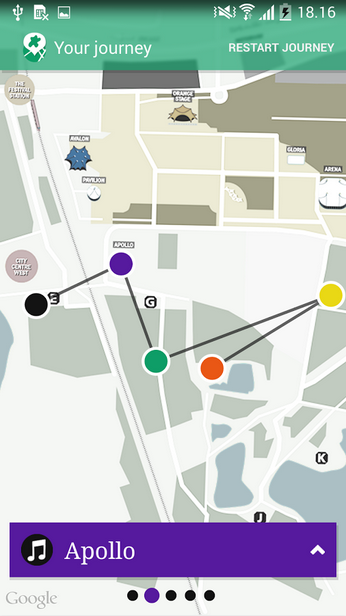 It help guests at Roskilde Festival explore artists playing at the festival and provide suggestions based on sources including Facebook, iTunes, and last.fm. 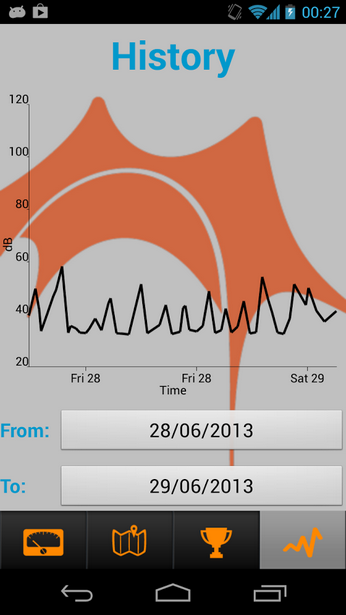 The app allows you to visualize and track how much noise you are exposed to. 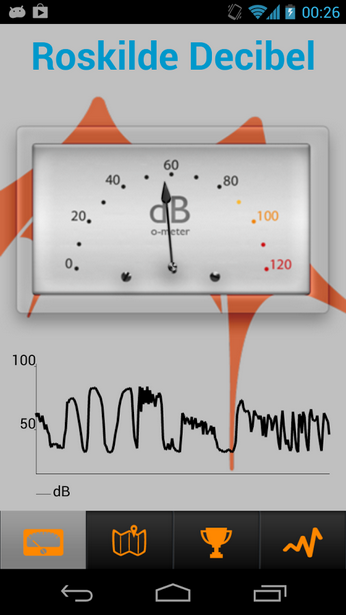 You can get immediate measurement of the current sound level in decibel and noise levels directly on the Roskilde map. 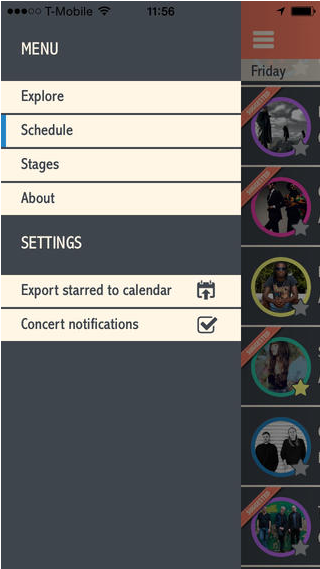 You can get achievements too by measuring sound levels around Roskilde’s stages or at specific times of the day. This entry was posted in blog and tagged apps, dtu, milab, mobile, roskilde by Jakob Eg Larsen. Bookmark the permalink.